Rambo The Video Game was announced in 2011, however, the information about this upcoming third-person shooter appears extremely seldom. Last year the developers presented one project's video, which didn't please gamers, and here is the next attempt - new Rambo The Video Game trailer. Rambo The Video Game is based on the popular movie series and allows players to put themselves in the shoes of Sylvester Stallone's character. This third-person shooter is being developed by the small Polish Teyon studio and will include the elements of stealth and action-adventure genres. 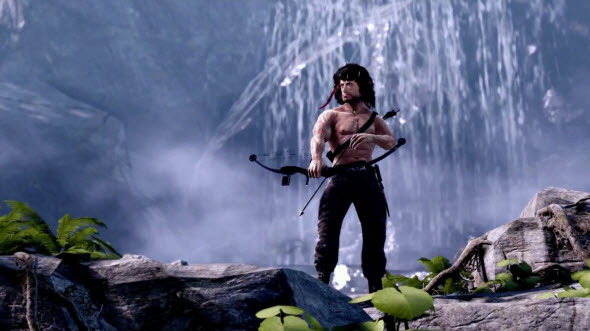 The previous Rambo The Video Game trailer has an awful graphics and some ridiculous moments, so the developers have received lots of negative reviews. Will the next video change this situation? Let's find out together. Gaming version of Rambo will hit the stores at the beginning of this year, but the exact release date hasn't been announced yet.